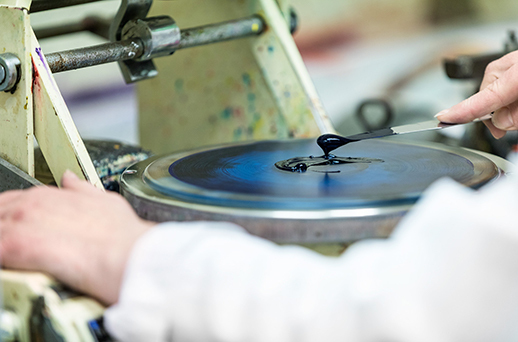 Our factory in Le Mans has been home to our colours for centuries, and now we are inviting artists to have a closer look at how the materials that are so important to their practice are made. In November 2017 our French fine art brand Lefranc Bourgeois invited four artists to create new artworks using their newly formulated fine oil colours to celebrate the relaunch and to allow them to liberate their emotions for our “Libérez vos emotions” campaign. During the Lefranc Bourgeois launch event at Les Beaux Art in Paris the artists – Enzo Certa, the brothers Ratur & Sckaro, Caroline Faindt and Natacha Ivanova – each created a large-scale oil painting over the course of two days. The artists were intrigued by how Lefranc Bourgeois has been able to continue producing new colours for artists using traditional methods over the last three centuries. So, we invited them to our factory to see the research, expertise and methodology that goes into making the Lefranc Bourgeois colours. So what’s involved in making the finest oil colours? The most important ingredient is research – every single colour has been rigorously tested by our Innovation and Development department. A dedicated team works throughout the year in a laboratory located just a few metres away from where the paints are produced. 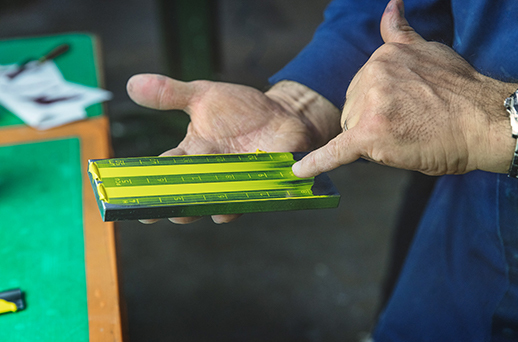 The Innovation & Development team work on a small scale with the exact pigments and binders to perfect the paints before the paints are produced on a large scale on the factory floor. There are two main steps for making oil paint: mixing and milling, and during these two processes the paint must undergo rigorous quality control tests. The first is for viscosity and the second for the fineness of the grind. 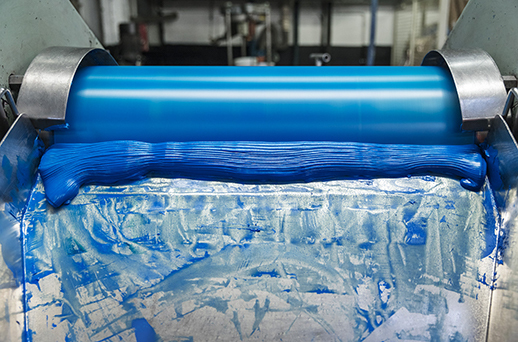 Our production team very carefully balances the pigment and binder to ensure every batch of paint is perfect. 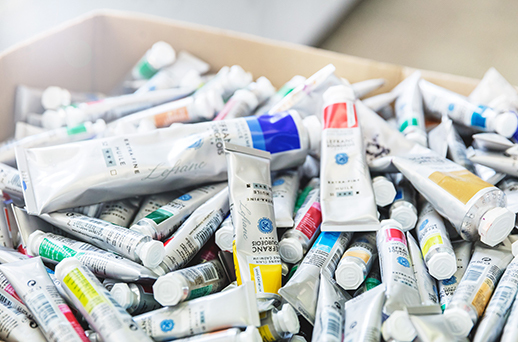 Our factory in Le Mans specialises in making gouache, acrylic and of course oil paint. About 8000 to 14,000 litres are made in Le Mans per week, depending on the demand, same for acrylic, but not counting the gouache production! Our 300 people are certainly very busy, but they were honoured to share their knowledge and passion for making colour with the artists who express themselves with our paints.